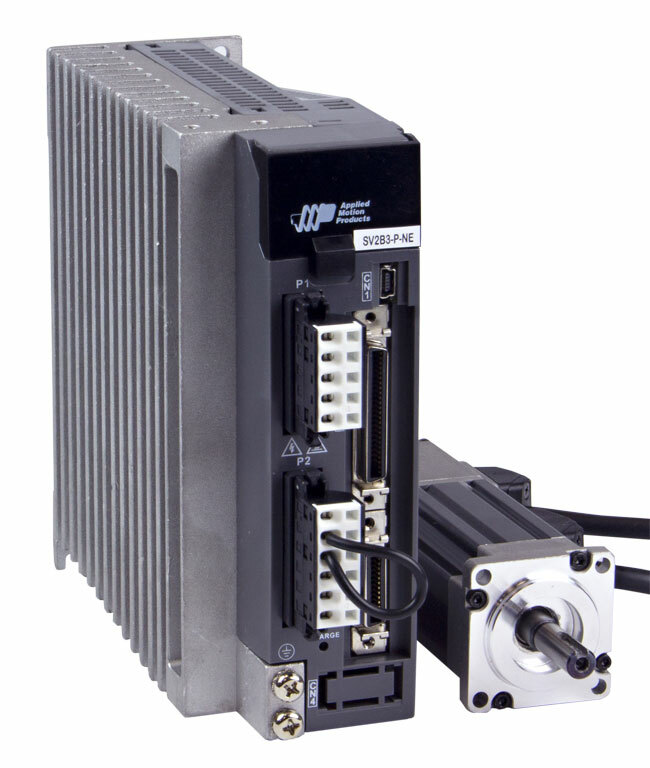 The SV200 series digital servo drives offer excellent performance at exceptional value. They provide short settling times of 0 to 2 milliseconds. Auto-tuning enables the system to optimize tuning parameters automatically and greatly reduces setup time. The anti-vibration function reduces and often eliminates vibrations arising from the natural mechanical characteristics of the load. 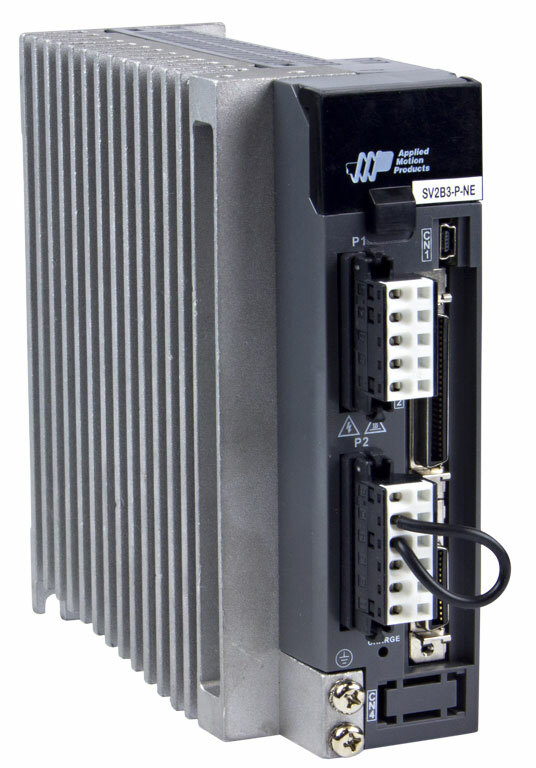 The SV2A3-Q-RE servo drive is suited for stand-alone operation utilizing it’s built-in motion controller. The drive is programmed using the Q Programmer software (included in SVx Servo Suite) which provides powerful commands for motion, I/O, logic, multi-tasking and more. Motion commands include relative and absolute positioning, homing, jogging, encoder following, analog positioning, segmented moves and more. 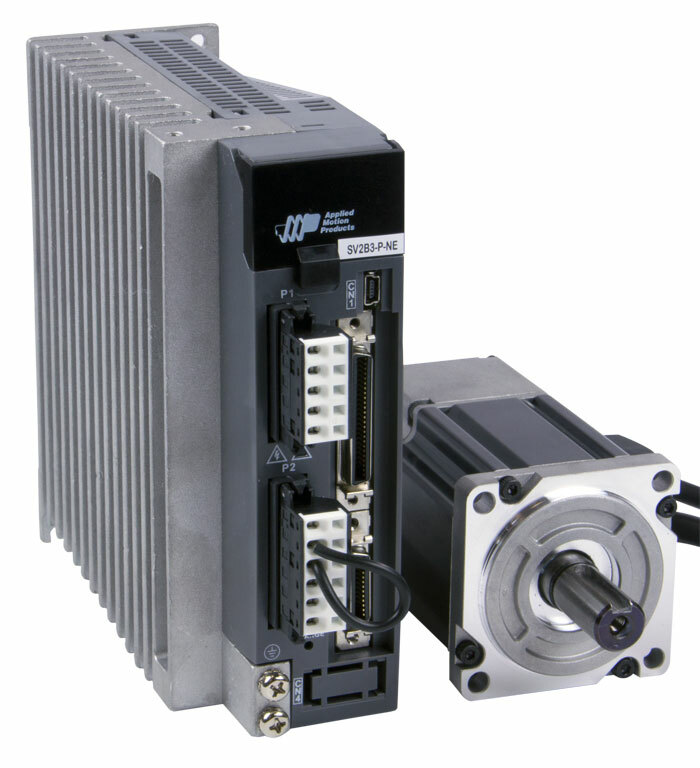 The SVX Servo Suite software allows for easy setup and programming of the drive and motor. It has a built-in oscilloscope for testing motion and optimizing motor performance.